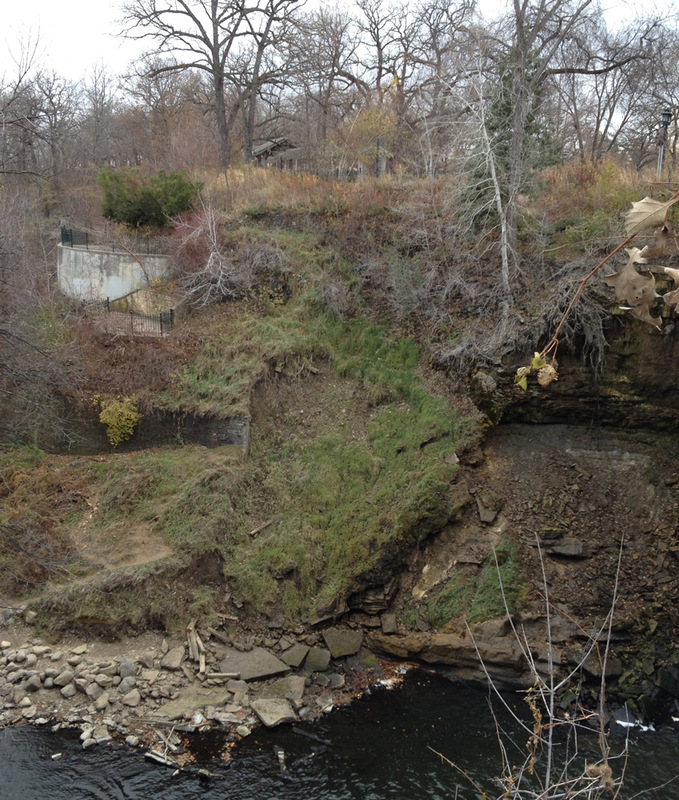 This side of the Minnehaha gorge is highly unstable. This photo is from 2014. The slumping visible here shows just how unstable the land is. Vegetation might be used to secure the side of the gorge, but has not succeeded on its own. There has never been any sign of the Park Board putting deliberate plantings here. Wow. That is amazing to see how it looks now. It’s obvious looking at that part of the gorge now why any platform would never be possible. It’s just nature. 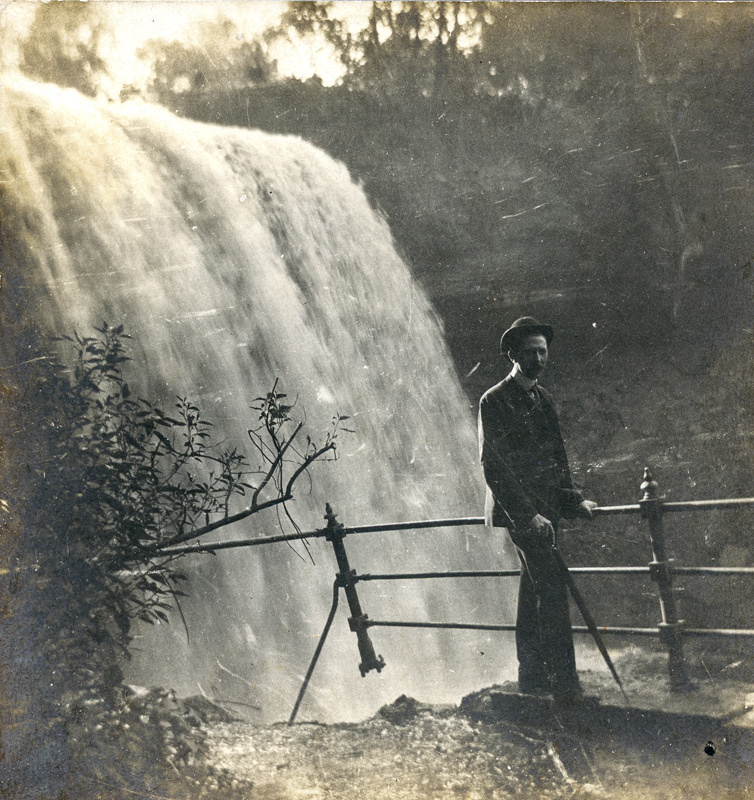 The falls used flow so much more way back when and we have seen why over the years. Weddings. Graduation parties. Birthdays. All in all just a gathering place. Im so very proud of being a part of this community and being able to grow up in that neighborhood. Other big event’s ive taken place in are the Minneapolis Jaycees and the Longfellow house. The whole participation in the renovation of the Longfellow house. The years of deterioration took a toll on the one time home of Fish Jones and his Zoological gardens. Then the stories ive heard of the days of being a library and an ice skating warminghouse. Then eventually “Ghost Manor” open on 🎃 Halloween. We and my friends used to play inside the house by access thru the basement windows and scare ourselves to death with stories. Eventually i saw them finally move the house to its new location which was a bit sad that a highway was coming through and it just never seemed the same. I was all for restoration but moving it just left a bad taste in my mouth. It does not look the same as it did when “Fish” owned it. So. Before the moving and restoration there was a event to celebrate it’s history. People dressed up in period clothing andmy dad “Doug Bakker” dressed up as Fish Jones. Top hat and cane and all. Also a lovely women who worked on Projects with the house was Diane Davidson. Just so many fond memories of living near that house in that beautiful neighborhood. I know what you mean, Michael, about the Longfellow House. I don’t mind that they moved it but it has never been as much a community resource as I would like. And oh my goodness does it need paint today. I am also concerned about the Stevens house, as it needs a little structural repair. I believe the park board has responsibility for both. Also if you’d like to hear more stories, come to one of my talks listed on the right-hand side of my website. I think you enjoy them as I have lots of stories to tell. I forgot to mention, do you have any pictures of your father dressed up as fish Jones?